I’m so excited to announce that my first historical mystery under my new Heather Redmond name has received a coveted Starred Review from Kirkus Reviews! A ghastly poisoning sets a young writer on the trail of a killer in Victorian London. January 1835 finds rising journalist Charles Dickens enjoying Epiphany dinner with his editor, George Hogarth, and his family in Brompton when a terrible scream splits the air. Dickens, Hogarth, and Hogarth’s daughter Kate rush next door to Lugoson House. There, Lady Lugoson’s daughter, Christiana, who’s been taken violently ill, dies before her mother’s horrified eyes despite the ministrations of the host of doctors summoned to her bedside. The next day, at the offices of the Evening Chronicle, Charles confides his unease to fellow journalist William Aga. How could Christiana Lugoson have become mortally ill when none of the other dinner guests were affected? William recalls the similar death of another young woman, Marie Rueff, just one year ago at Epiphany. Watching young Charles sniff out the connection between the two deaths is only part of the fun. Readers can also watch the sweet, unsurprising romance between Charles and Kate unfold at a modest but steady pace and can travel through a historical London that’s vivid without being overcrowded with detail. Each character’s voice is distinctive and appropriate to the period, and Redmond’s exposition is as stately and lucid as any contemporary reader could wish. 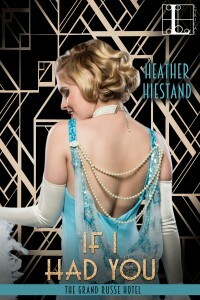 Redmond, who writes romance under the names Heather Hiestand and Anh Leod, adds crime to her portfolio. Mystery fans and history buffs alike should cheer. 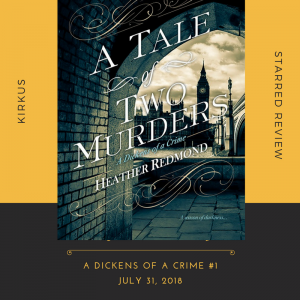 This entry was posted in Book info and tagged a tale of two murders, heather redmond, historical mystery, kirkus reviews on May 1, 2018 by Heather. 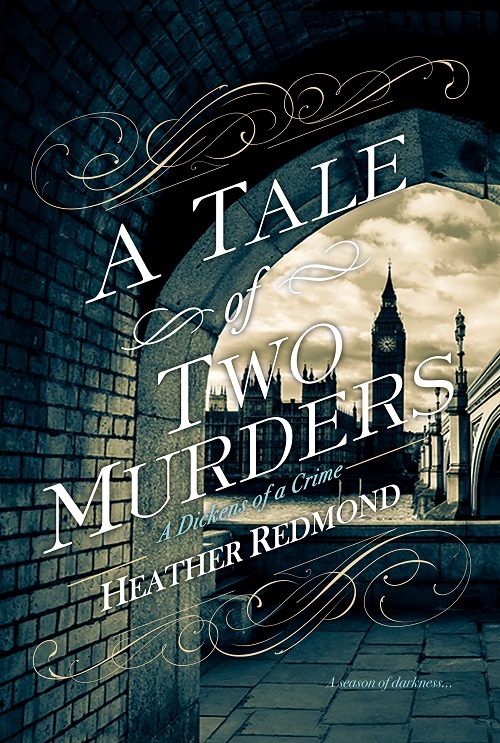 This entry was posted in Book info and tagged a tale of two murders, heather hiestand, heather redmond, historical mystery, kensington books on February 5, 2018 by Heather. The terrorist attacks in Belgium today settle on me uneasily as an author of historical fiction. As I blithely changed the timeline on my work in progress , I wondered what historical events I might be missing that might distract the characters in my novel, or even affect them. Characters live in larger worlds than our plots. 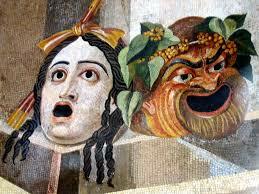 For instance, my current hero is from Sicily. What might have been happening in his hometown during that week I just added to my story because I realized my plot timeline was too tight? The other issue that concerns me is how I write about circumstances like what happened in Belgium today. My upcoming series (debuts 9/27/16), The Grand Russe Hotel, is concerned with Russian immigrants in England. Most of them are solid citizens trying to restart their lives after the Russian revolution, but some are Bolsheviks hoping to disrupt the British government. There are bombers and bomb threats and even actual bombs. Danger for all, a very real situation. As I writer, I need to make sure to keep the emotion tangible. It’s not just a plot. My characters need to feel the fear that is present in Europe today in the midst of so much sorrow, uncertainty, and despair. I must remember to keep my world of 1925 London three-dimensional. The terrorists of 2016 are different than those of 1925, but the emotions of those living through the experience are the same as those suffering today. If we want readers to bond with our characters, understanding the mindset of people in crisis is very important. And if we can give our characters happy endings despite the traumas they live through, hopefully it can give readers a feeling of closure and hope that all is not lost, no matter how dark the sky that day. 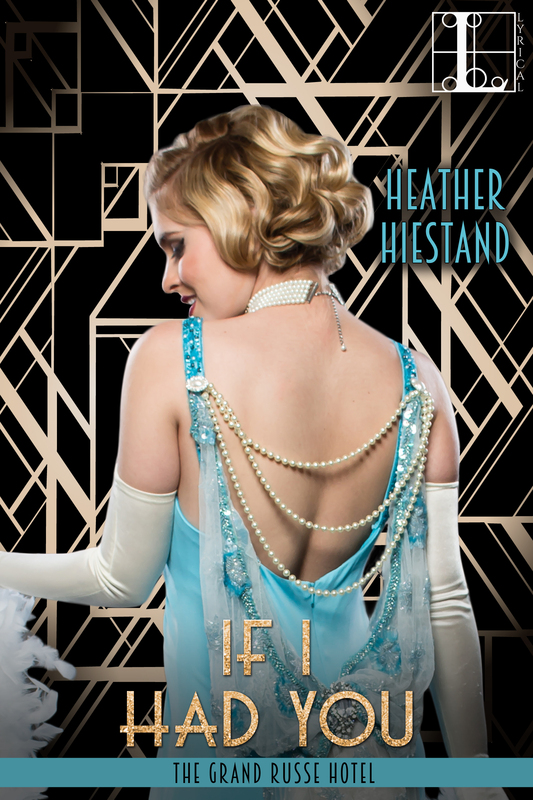 This entry was posted in Book info, helpful tips, Research, Uncategorized and tagged belgium, crisis, emotional trauma, heather hiestand, historical fiction, if i had you on March 22, 2016 by Heather. This was my husband’s favorite new recipe of the summer. Since I became a vegetarian this summer, I’ve done a ton of fresh cooking, so that’s saying a lot. I’ve modified this recipe a tiny bit since it was on the tour, but we ate it every day for quite a while during berry season. Toast rolled oats and coconut on the stove in a dry pan until lightly browned, about four minutes. Fold the vanilla or whiskey into the Cool Whip. Layer just under half of the raspberries into four serving dishes, then cover with just under half of the Cool Whip mixture. Sprinkle rolled oats and coconut over the top, then repeat. Top with the last little bit of Cool Whip, one raspberry, then drizzle honey over the top. Voila! One easy but very delicious dessert. Note: A mix of toasted coconut/oatmeal blends fantastically into breakfast cereal for a morning pick-me-up! 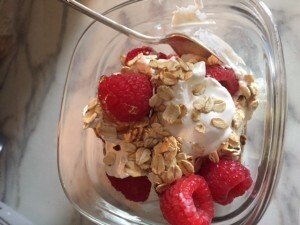 This entry was posted in recipe and tagged coconut, heather hiestand, oatmeal, recipe on September 15, 2015 by Heather. We were so ready to eat this right out of the oven I forgot to take a picture of it! Very tasty as it is, but if you want a sweeter dessert, serve with ice cream or whipped cream, or some extra eggnog poured on top. 5 cups chopped apples. I leave the skins on, personally. Gently mix together the ingredients up to the butter and pour into an oiled 8×8 baking pan. Then dribble the melted butter over the top. Mix together the rest of the ingredients and spoon over the apples. This entry was posted in recipe and tagged heather hiestand, holiday, recipe on December 15, 2014 by Heather. I write stories set throughout the nineteenth century, a time of flux in the details around marriage in England and Scotland. I am forever having to re-research this information, so I’m posting some research links here. 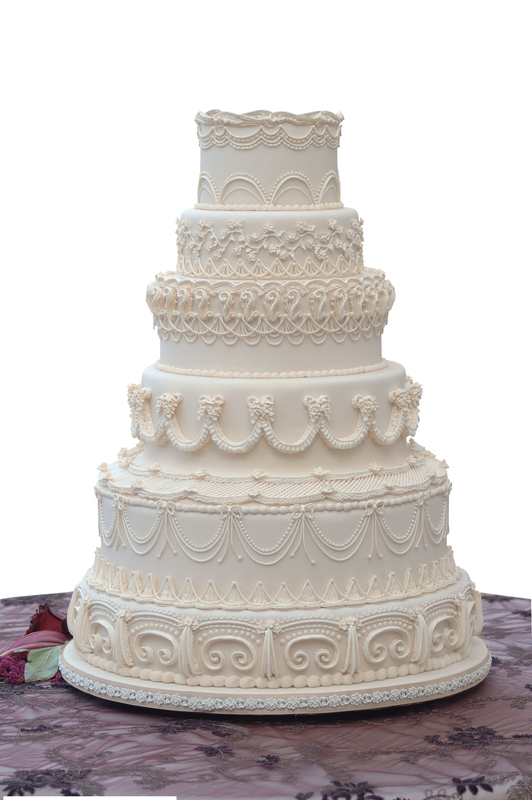 This includes the all important information on Gretna Green marriages, in the final link. Based on these websites, I’m guessing it would be pretty difficult to get a special license and marry within one day. This entry was posted in Research on August 15, 2014 by Heather. To help make books more discoverable on Amazon (despite them hiding “adult content” books and redirecting search results to other books), here is a tip for *how* to search for the books you want to buy. Have a shortcut to take you to Amazon advanced search page, rather than just opening the Amazon site and using the default search box. In the fields on the Advanced Search page, you can enter one item or any combination of author, title, ISBN, publisher, etc. When you do a search this way, adult content will come up. And the search results seem, from our experience, to be more in sync with the search terms entered. For example, if you search on author Jaid Black in advanced search, the 12 items on the first results page are all books by Jaid Black. But if you search by that author name in the default All Departments search box at the top of any page, five of the items (including the top one) displayed on the first results page are by other authors and have nothing to do with Jaid Black. I did a search for “Heather Hiestand” and “historical romance” and the list was pretty accurate. Only one of my contemporary romances showed up. So this is a great way to search for authors who have long backlists like I do! This entry was posted in helpful tips on August 12, 2014 by Heather.